XY Find It Reviews - Is it a Scam or Legit? The absent-minded may enjoy the XY Find It XY4+, a small Bluetooth tracker you can use to track things it’s attached to up to 300 feet away as well as to find your phone within a 300-ft. range. XY Find It is a Bluetooth-powered location device you can attach to a variety of items so that, in the event that you lose them, the device can help you locate it via trackable signal and sound. The product’s website provides various ways that you can use the finder, from attaching it to a handbag, a computer, camera equipment and pets. It comes in five different colors: silver, black, red, purple and blue. The company claims they’ve sold more than 1 million of their devices. The company is based in San Diego and brands itself as a location-servicers disruptor who’s been in business since 2012. In this review, we’re going to talk about how the XY Find It works, how much it costs and how it compares to Tile, another popular Bluetooth location device. Pro tip: At the time of publishing, the most recent version of the finder was the XY4+. Hexagonal and thin in shape, the XY Find It XY4+ is compact enough to fit into just about any bag you want to track. In addition to its small size, there’s a keyhole at the top of the device that you can use to attach it to an existing keyring or a metal loop that you can attach to electronics bags. The device comes with an app that you’ll use to pair it to your phone. Once paired, the device has four main features that you’ll need to know about. First, if you lose the item to which your XY4+ is attached, you can open the app and tap a button that will “find” your device. Your tracker will then emit a beep-based song, alerting you to where it’s hiding. The device has a 300-foot range, which means your phone can locate your XY4+ as long as it’s within 300 feet of you. The tracker also works in reverse. If you can’t find your phone, then you can press the top of the tracker (where the ring hole is) and, as long as Bluetooth is activated on your phone, your phone will ring. The ring volume should be loud enough to where you can find the phone in a house or apartment. The final feature of the XY4+ is tracking memory and crowd-based GPS searching. Basically, if you lose your tracker and whatever’s attached to it, your app will remember where it last “saw” the tracker, as it’s periodically in communication with the device even when you’re not searching for it. If, for some reason, you lose your tracker, you can mark your device as “Lost” and other XY Find It users will be alerted that your tracker is lost They have the ability to see your lost tracker on their app, provided they’re in range, and can recover it for you. Pro tip: The XY Find It website says that the device’s battery lasts five years. The value on the device increases considerably the more you buy. While it may seem like you don’t have a lot of options for buying, say, two or three trackers at a discount, we discovered that when we put an XY4+ in our cart and clicked through the payment page, XY Find It pitched us a second XY4+ at half the price. When you click on the button to buy a device, XY Find It will take you to a new page with an offer for a $1.50 metal-thread key-chain tether you could use to attach your device to a purse strap or dog collar, for example. The site says that the device has a 30-day money-back guarantee as well as a two-year warranty. When we click on the site’s “Returns” link at the bottom of the page, the fine print indicated that the device has a one-year limited warranty, not a two-year warranty. If you have to make a warranty claim, you’ll need to send an email to support@xyfindit.com, receive a return authorization. Don’t send the device back without obtaining an authorization. One of the more well-known tracker devices on the market is Tile, a company whose trackers can be found at big-box stores like Target and Best Buy. The main difference between Tile and the XY4+ is that Tile is a huge brand and, with that size, they’re able to offer three different types of trackers (Slim, Pro, Mate) as well as integration with the Echo Dot. Also, Tile’s prices are lower than XY Find It. For example, a four-pack of the Mate and Slim trackers was $60 at the time of publishing. An eight-pack of four Mates and four Pros plus a free Amazon Dot was $150. Keep in mind, though, that our check of the Tile website was during the Christmas season, so the pricing and the free Amazon Dot may not always be available. One interesting thing to note is that Only Tile’s Pro Tracker can match the XY4+’s range of 300 ft. The Slim and Mate have ranges of 100 feet and 150 feet, respectively. Two Pros are $60 with free shipping while two XY4+’s with shipping is $65.99. In our opinion, Tile offers slightly better value on their trackers because they provide free shipping. Now, during a time of the year when Tile isn’t providing holiday discounts, it may make more financial sense to buy an eight-pack from XY Find it than from Tile. Pro tip: Both companies offer a 30-day guarantee and one-year warranty. To get a sense of how pleased customers are with their XY Find It trackers, we went to the company’s Amazon store. At the time of publishing, the company’s trackers had 36 reviews with an average score of 4.1 stars. More than 65% of those reviews were five stars, with 25% of them being one-star. Among the most recent reviews were several customers who gave the product one star because it did not track nearly as well as advertised. For example, one customer said the trackers didn’t work out of the box, noting that the app couldn’t locate one even though it was five feet away. As we looked further into reviews from the two months leading up to writing, the reviews provided consistently positive ratings, with most of them being five stars and some of them being one-star. Based on what we’ve seen from these reviews, we believe the chances are better that you’ll enjoy the product but there may be situations in which the trackers just don’t work as good as advertised. In fact, one of the reviews copied and pasted an email he received from XY Find It in response to a complaint about poor performance. The company Bluetooth is a tricky technology and that factors such as walls, humidity and reflective surfaces could reduce the signal to as few as 10 feet, but also boost it up to 34 feet. Based on our research of this product, we believe its greatest strength is that, in the right conditions, the signal from your tracker can transmit up to 300 feet, which means that you should be able to find the tracker in virtually any apartment and most homes. Also, because you can see your tracker on a map, trying to find, say, a puppy in a busy park is easier because you can follow your map until you’re close enough to hear the trackers audible alert tone. The downside of the device is its price, as Tile provides cheaper devices with the same 300-foot-range. 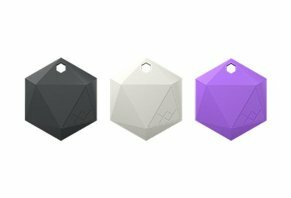 Also, Tile provides various types of trackers at different price points, which may be a better fit for someone who doesn’t need 300 feet of range. So how this really works is it will find if someone has it on their phone and then lets it send you a message. With today's security, who's going to let that happen. I tried it for a week, and not once did it find my car. It may work for your keys in your house if they are close by. It won't work on your dog if he runs away, and it’s not on anyone if your dog is gone. Poor product. Rarely works as intended and the help/user support blames all issues on the "limitation of Bluetooth technology." It is far more (or rather less) than that. The product has yet to work as intended for three months of use. Bought it to help keep a wallet near and to not lose it. Three months later, lost wallet and the tech did not even know it was lost. Have to work at the app just to get it to signal the lost item (after 3-4 times trying to activate the Chime, the keychain will sound, never happens the first time). I have attempted to connect three tiles of my eight-pack deal and none have been located. They are "claimed" in the app but on the app map it is not located. I have attempted to start connecting from the beginning of the instruction several times with no success. I got these for a family trip and wanted to use them for our luggage in case they got lost. My purchase was through Amazon, and the 30-day return window has expired and I cannot return them through Amazon. Amazon has removed the item from their page and I'm pretty sure it was because of complaints. I would not recommend the purchase of this item. It has been an inconvenience to even have to contact tech support or even consider a refund. I will take it as a loss of $150. Write a Review for XY Find It!